Both artists already shared the stage back in 2012. At that time it was for Roberto's release YO, album where they perform the song Bibisa together. 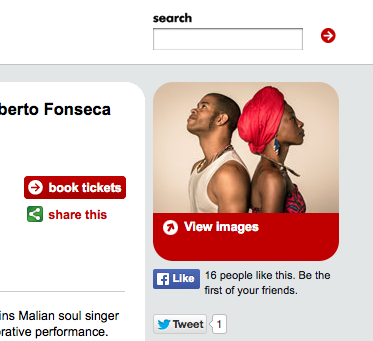 Fatoumata Diawara and Roberto Fonseca will be together again at the Barbican Centre next May 30th. This time presenting their live project Transatlantic Meeting. Learn more here.